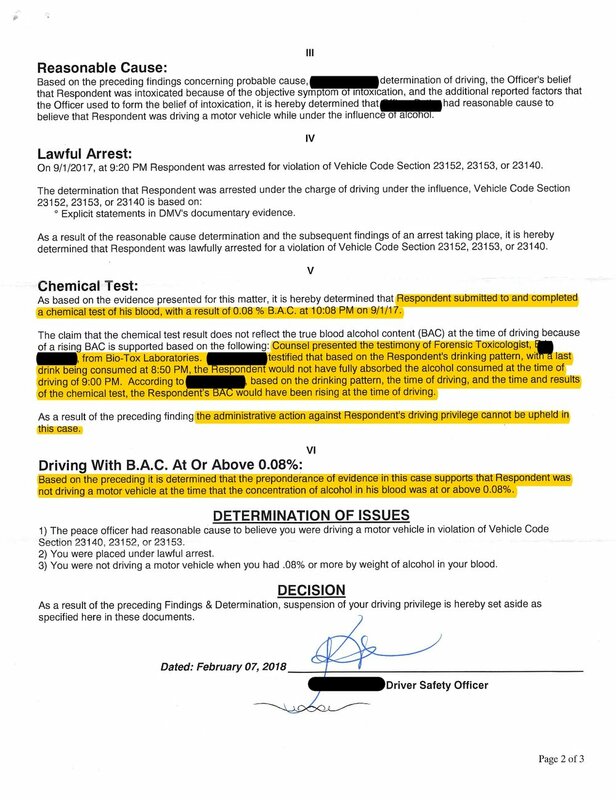 Save Your License: Defenses to a DUI DMV suspension. After a driver is arrested for DUI, the DMV will move to automatically suspend the driver's license for the DUI after 30 days. 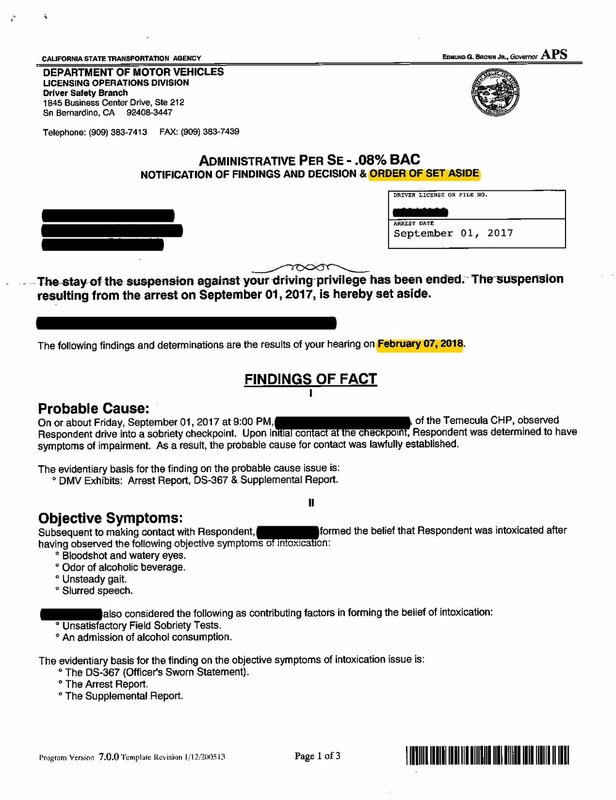 A hearing must be requested within 10 days of the date of arrest to contest the automatic suspension. There are defenses. See below - Order of Set Aside showing that we won the DMV Hearing.